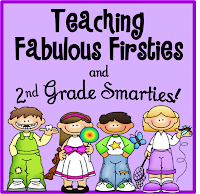 ♥Teaching Fabulous Firsties and 2nd Grade Smarties!♥: Anchor Charts & Focus Walls--plus a FREEBIE! Anchor Charts & Focus Walls--plus a FREEBIE! Sorry, Friends! 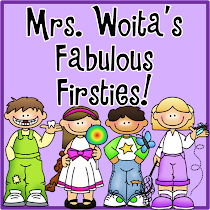 I had to take a break from blogging due to technology issues, then because of curriculum meetings, then because my house needed a MAJOR organization/cleaning frenzy! 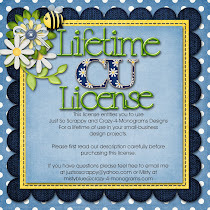 I’m back with a freebie because you put up with my sporadic blogging! 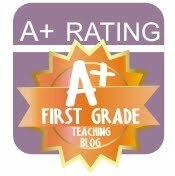 Did you get a chance to see my new Second Grade CCSS Beginning and End of Year Math Assessments? 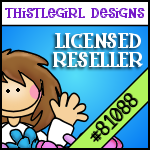 The First Grade Common Core Math version is the TOP seller at my TpT store and now that I'm looping up to 2nd grade, I thought it would be good to do this new product. Check out the preview HERE or click on the picture. I knew it would be bad not to have Internet service, but after 3+ weeks of only having random minutes of service, I was seriously technology starved! But, we now have Fios, so I have my fast Internet back! I had to (*whimper*) bravely delete all of the Bloglovin and TpT notifications that came in my email because I knew service would only happen after trying ten times to get on, then get bumped off after 30 seconds! 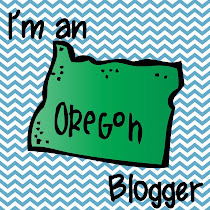 So, I’ve missed all of my bloggy friends’ great new products and posts. So, in the meantime, I worked on my new second grade common core statements for math. Our district is crazy for wants to see all of the standards on the board that we’re teaching—there’s almost no room for any anchor charts or other teaching related visuals, so I made small anchor charts. Since I’m doing a beach/ocean theme this year, I made them with cute beach-themed graphics. They are on standard-sized paper for your bulletin boards. Here are a few of the pages. I also made one with half-sheets of paper-sized posters you can use in a pocket chart to save space. They can go with any classroom décor and aren’t theme-specific. Here's another peek at some of the pages. I had a jungle theme last year and I really liked having my zebra themed focus wall. 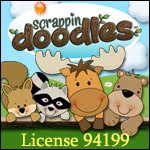 This year, my Daily 5 signs will be the same Zany Zebra from Scrappin’ Doodles, but he’s at the beach! Here is a copy for you if you have a jungle &/or beach theme…or if you just like them. 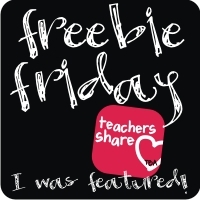 Click on the pictures below to grab your freebie! If you download them, I’d love to hear from you in the comments! Thanks! I only have 3 more days until our official back to school day. YIKES! Did I mention that I haven't been in to work on my classroom yet and I'm probably the only one?!? Then, the kids arrive on September 3rd. How about you? Have you already been back to work? Are you with kids yet? These are really cute! Love the graphics! The Daily 5 signs are really cute. Love the graphics! Materials created by Corinna Woita. Powered by Blogger.